Come find out why people say this soap smells good enough to eat! 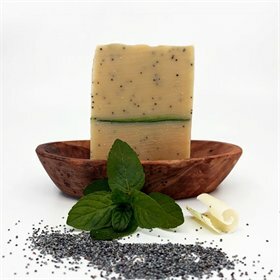 Energize yourself or a friend with this all-natural, glorious-smelling healing soap that is great for your skin. It's an MPC exclusive, handmade by one of our very own "peeps" and includes egg yolks from My Pet Chicken hens' eggs. We're obsessed with the way this soap makes your skin feel. It strikes the perfect balance between moisturizing while truly cleaning your skin. 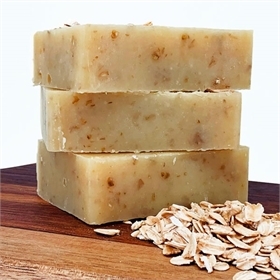 The soap ingredients include: oils of olive, palm & coconut and distilled water, egg yolks, sodium hydroxide, grapefruit essential oil, and dried cranberry seeds. Grapefruit is known as a natural antibacterial agent and as a natural energizer and mood booster. Dried cranberry are a wonderful, natural skin exfoliant.